"The risk of side effects is very low, and continuation and satisfaction rates are high for these methods." 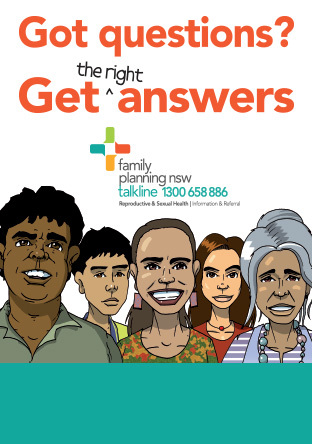 Family Planning NSW gives comprehensive and detailed information about all forms of contraception through our clinics, our education courses and materials, health promotion and in our public communication. "We pride ourselves on being a trusted source for women to ask about their individual contraceptive needs. Our training for health professionals is comprehensive and evidence-based and highly valued by clinicians." "Each woman will have her own unique needs - physical, emotional and lifestyle - that need to be taken into account when deciding what kind of contraceptive to use." "I want to reassure women that we are here to discuss any concerns they may have about LARC, and to support them in finding a contraceptive choice that is right for them," said Ms Duggan. "Today, we have had women cancelling their visits to Family Planning NSW to have their IUD or implant inserted. We encourage women to come and ask us any questions they have about their contraceptive choices." "If you are experiencing any side effects from the contraception you use, I recommend talking to your health care professional about other options that may suit you better." "We support the provision of a wide range of contraception - contraceptive pills, the vaginal ring, diaphragms and condoms as well as LARC methods (hormonal and copper IUDs, the contraceptive implant and contraceptive injections), and fertility awareness methods. FPNSW materials present the full range of contraceptive options available, their efficacy and any potential side effects to enable women to make an informed decision about the best option for them," said Ms Duggan.